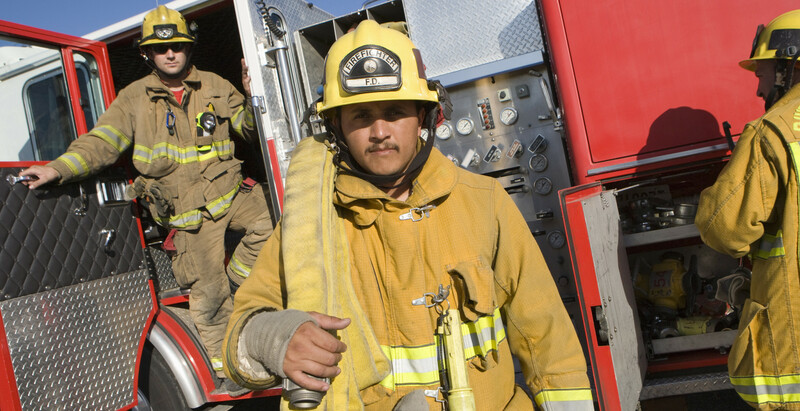 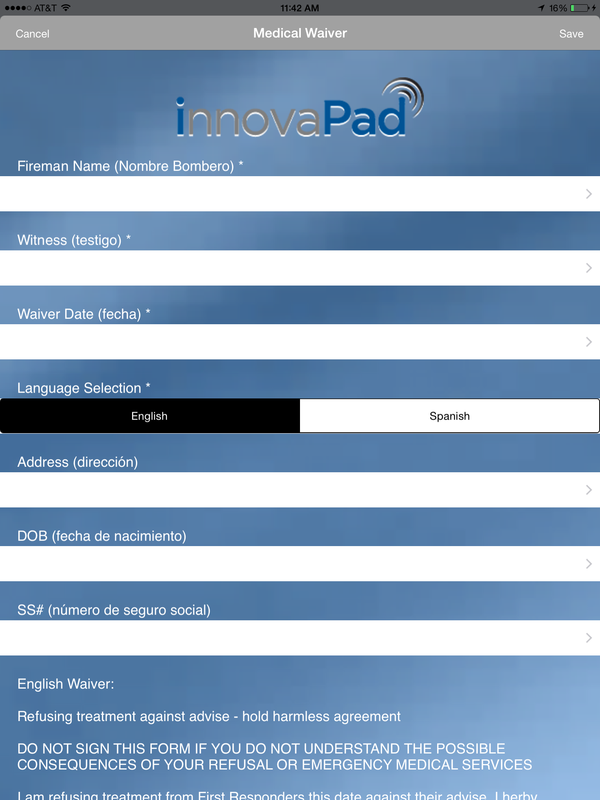 The innovaPad medical waiver is a digital waiver that allows fire departments to release their liability when an individual decides that they do not want medical attention at the scene of an incident. 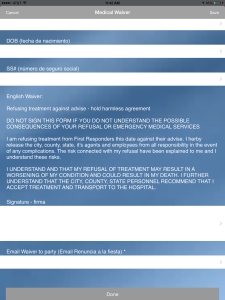 Individuals can sign the medical waiver on the iPad and a copy is instantly emailed to the fire department and the individual refusing medical services. 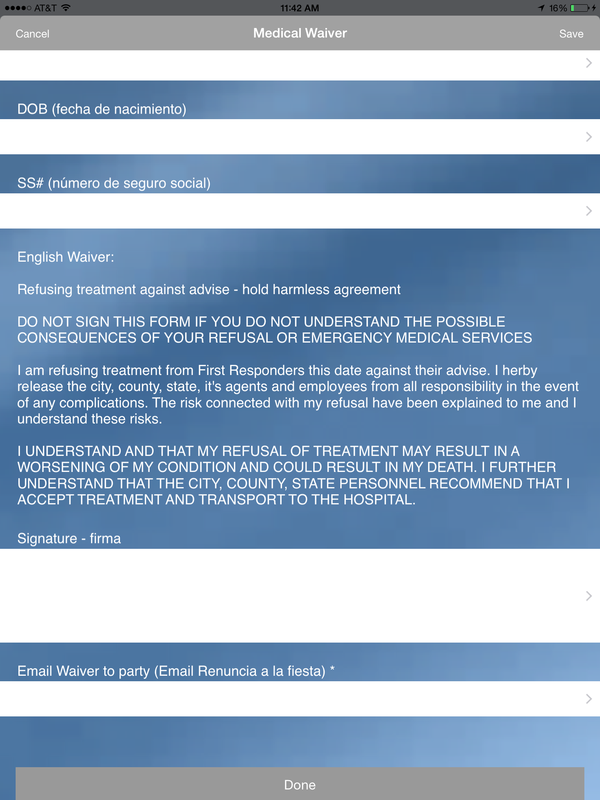 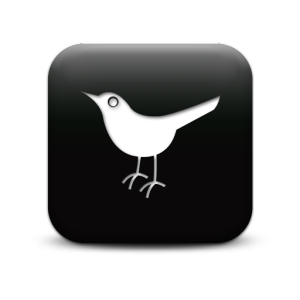 With instructions in both English and Spanish, once sent, the document is removed from the application for HIPAA compliance.